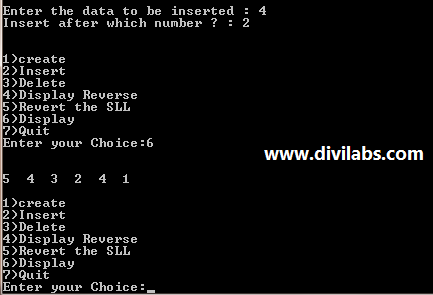 C++ Program/code to print all prime numbers between 1 to n.
Design a C program for Student Database using Single linked list and perform search, Insert and delete operation for a particular register number. Digital iVision Labs by Team Dilabs is licensed under a Creative Commons Attribution-NonCommercial-NoDerivs 2.5 India License. © 2012 Digital iVision Lab! All Rights Reserved.